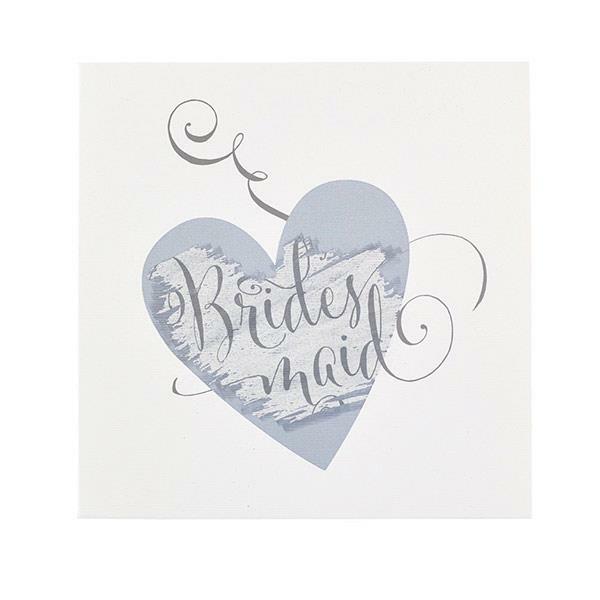 These beautiful cards from Busy B are a quirky way to ask your friends to be your bridesmaids. 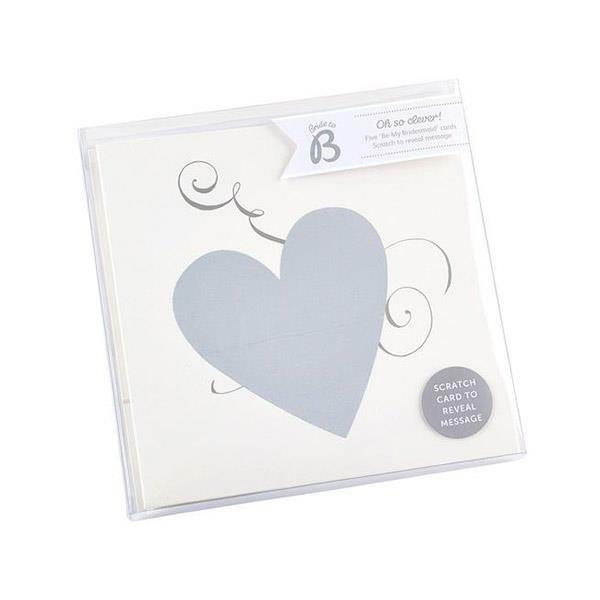 They scratch off the foil heart on the front to reveal the message "be my bridesmaid". The inside of the card is blank to allow you to write a personalised message. 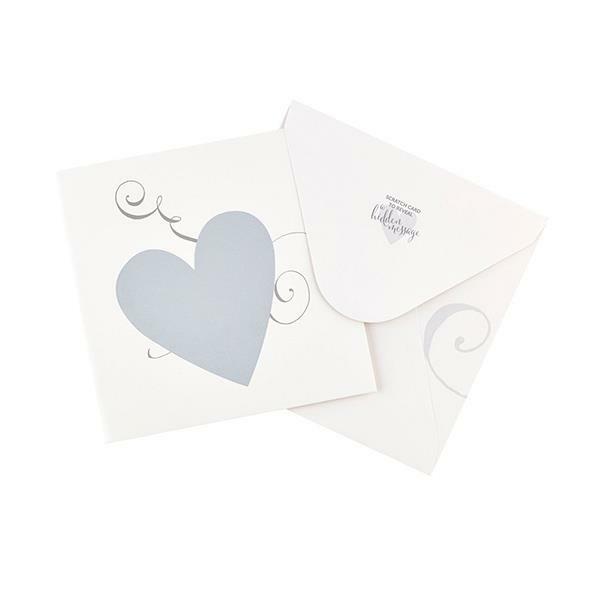 Each pack contains 5 cards and matching envelopes.